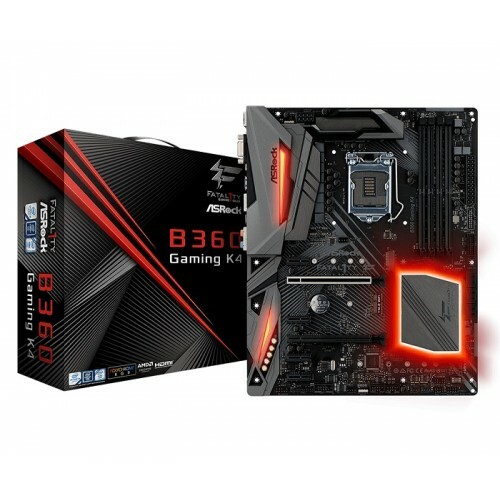 The Intel's B360 chipset used in this motherboard is some few steps down from the Z370, does not encourage overclocking and multi-card graphics support. 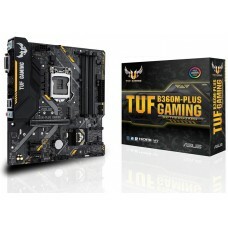 But its integrated USB 3.1 Gen2 facility makes it more affordable. 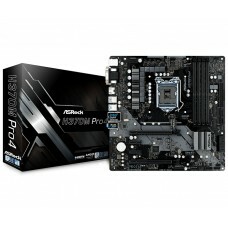 This ATX board is a bit cheaper with quality audio components and better arrangement for RGB light strips. Among the limitation this board has bracket, but no antenna or Wi-Fi module included. 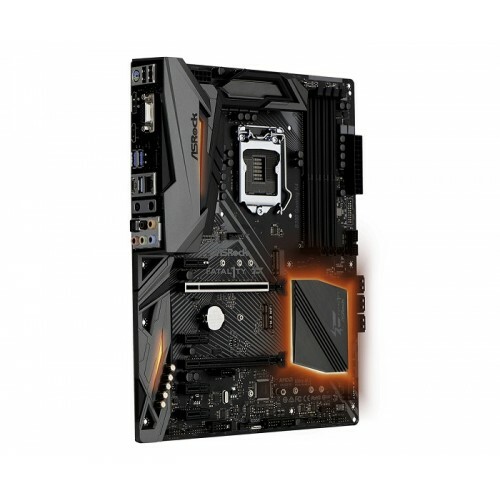 Asrock Fatal1ty B360 Gaming K4 ATX 8th & 9th generation Intel core processors supported dual channel DDR4 maximum 64GB memory motherboard has the capability of fast M.2 Key E for WiFi with 2 PCIe 3.0 x16, 4 PCIe 3.0 x1, 6 SATA3, 1 Ultra M.2 (PCIe Gen3 x4 & SATA3), 1 M.2 (PCIe Gen3 x2 & SATA3) slots as interface. 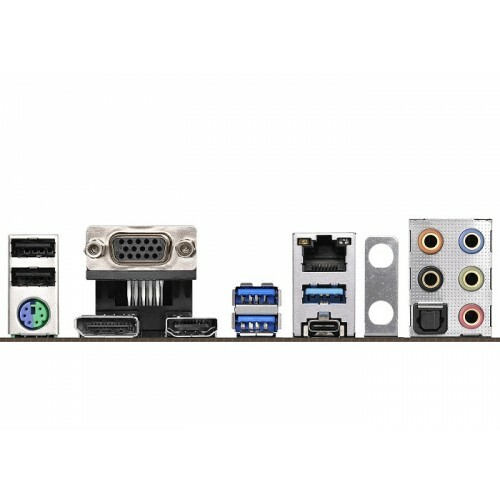 Regarding graphics, it will support Intel integrated UHD graphics that supports 4K Ultra HD view with HDMI, D-Sub, DisplayPort output options. 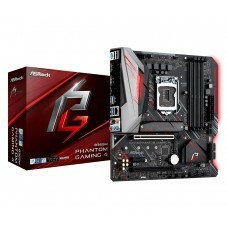 This exclusive directX 12 motherboard has the facility of 1 HDMI, 6 SATA3, 2 USB 3.1 Gen2 10Gb/s (1 Type-A + 1 Type-C), 4 USB 3.1 Gen1 (2 Front, 2 Rear) ports, Intel Gigabit LAN and 7.1 CH HD Realtek audio with Creative Sound Blaster cinema 5 connectivity. 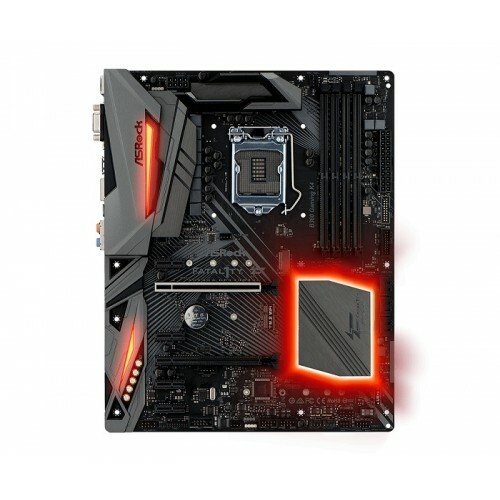 On the special side built-in RGB illumination with RGB headers for LED strip, CPU fans, coolers, chassis and so on to synchronize with Polychrome RGB for personalize lighting effects. Gaming or any other entertainment cinematic audio will be ensured by 3D technology for 5.1/7.1 surround stereo speakers or headphones. 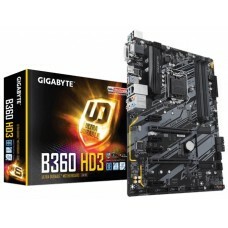 This mighty board has VR & Optane ready facility with super alloy & gaming armor for fast operation while heavy load. For gaming or entertainment these are the features one should consider of purchasing it.